The new Citroën C3 has just passed an important milestone in this month, having achieved an impressive 10,000 sales in the first six months since its official launch in the UK. The new C3 is now officially Citroën’s top-selling model in the UK. This points to a really interesting switch from customers who have been looking for larger cross-over vehicles for some time now. The whole Citroen range has something to offer but the C3 is storming ahead. The appeal of this latest Citroën is confirmed by the number of influential awards already received for the car (over 25 globally) and an overall client rating of 4.7 stars (out of 5) on Citroën Advisor. Consumers are becoming more savvy to their needs as car owners. Flash, unnecessary vehicles are on the way out and the supermini is back in. At least for Citroën customers. With the debut of ConnectedCAM Citroën™ – the world’s first built-in dashcam – the new C3 allows the driver and front passenger to safely take photos or videos that can be instantly shared via social media using a free app. It also operates as a conventional dashcam in the event of an on-road incident. Great for all the vloggers and car journos out there. The high-performance powertrain options are efficient and economical with PureTech petrol and BlueHDi diesel engines, and the latest generation EAT6 fully automatic gearbox available as part of the range. Diesel is getting a bad rap at the moment but the BlueHDi is one of the most efficient out there but if you’re worried about the longevity of your car, the little petrol engine is a good choice. The new C3 delivers class-leading passenger comfort and a highly customisable character, offering 36 different exterior colour combinations. With a distinctive design, the large panoramic sunroof floods the spacious cabin with natural light while the comfortable seats, inspired by the Citroën Advanced Comfort® programme, promote well-being and emphasise a feeling of reassurance, comfort and calm. It’s this customisability that has been such a hit with customers. I recently drove the DS3 Performance, which, while technically a separate brand, also comes with all sorts of custom options. 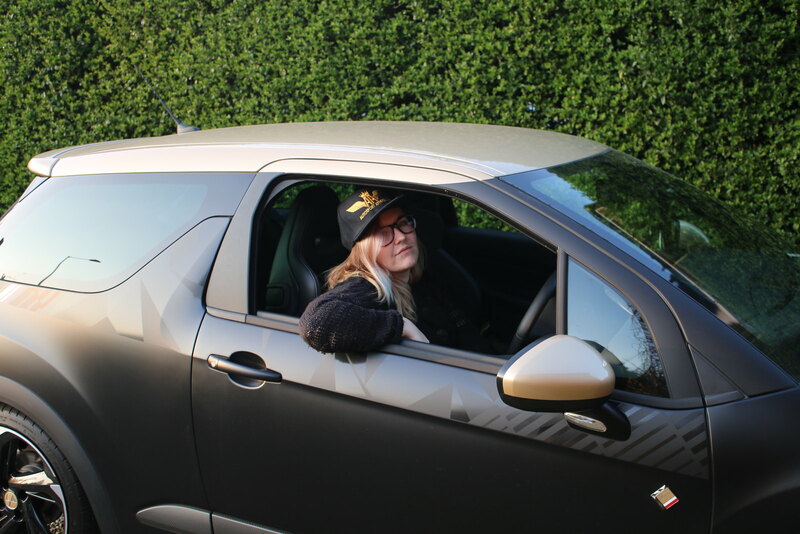 I ended up driving a matt black and gold beast with loads of lovely little DS details. It was a proper girl racer car, I loved it! It made me long for those days when I had a tricked out Daewoo with a huge speaker system complete with sub, amp and bone-shaking bass. Previous ArticleWould you drive this armored SUV? Next ArticleWould You Buy These Private Plates?